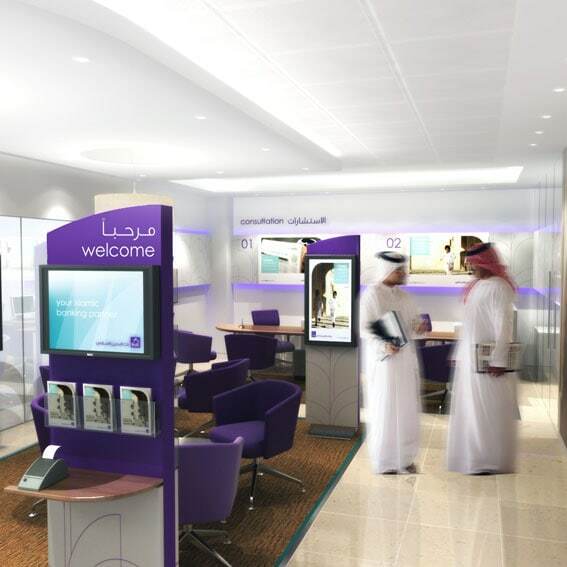 A contemporary Islamic retail banking environment rolling out across Bahrain. FDP assisted Bahrain Islamic Bank in the implementation of their new corporate identity through the creation of a new network strategy and retail concept. 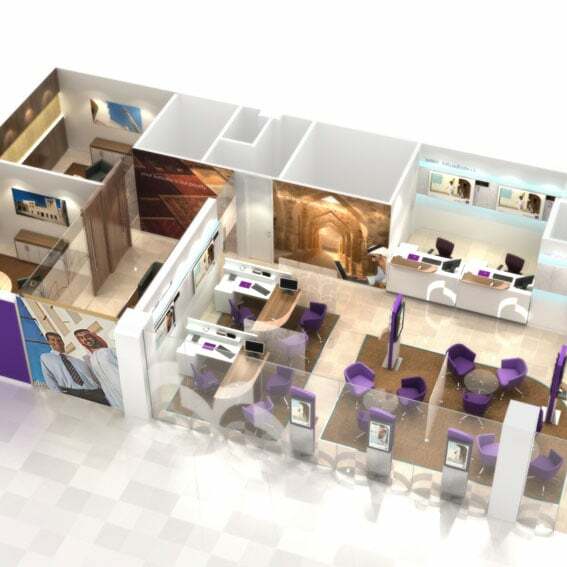 With a suite of 3 branch types from small local outlets to standalone flagship branches, the new environment will provide customer hospitality, comfortable, semi private consultation areas, open tellers and a discreet ‘Premier Banking’ zone for high net worth customers. The brand is expressed through the creation of an open, welcoming branch frontage and the use of contemporary colours and furniture blended with classic natural finishes and a distinctive timber customer surface. The prototype outlet will open in Bahrain, and the concept will then roll out to a network of existing outlets and new build branches.